The recent political scandal involving French President Emmanuel Macron and his former bodyguard Alexandre Benalla prompted some media pundits and politicians to accuse Russia of spinning the case out. Speaking to Sputnik, cybersecurity analyst Yannick Harrel explained why the accusations do not hold water. Russia has yet again come under criticism for alleged meddling in a foreign country's domestic affairs. This time Moscow is being accused of stirring up the scandal surrounding Alexandre Benalla, Emmanuel Macron's former security aide. "There is a hidden political motive here," Yannick Harrel, a cybersecurity analyst, told Sputnik France. "Instead of slandering [Russia] for no apparent reason, one could solve the problem in a more pragmatic way, which will not damage either trade relations or university exchanges between the countries." 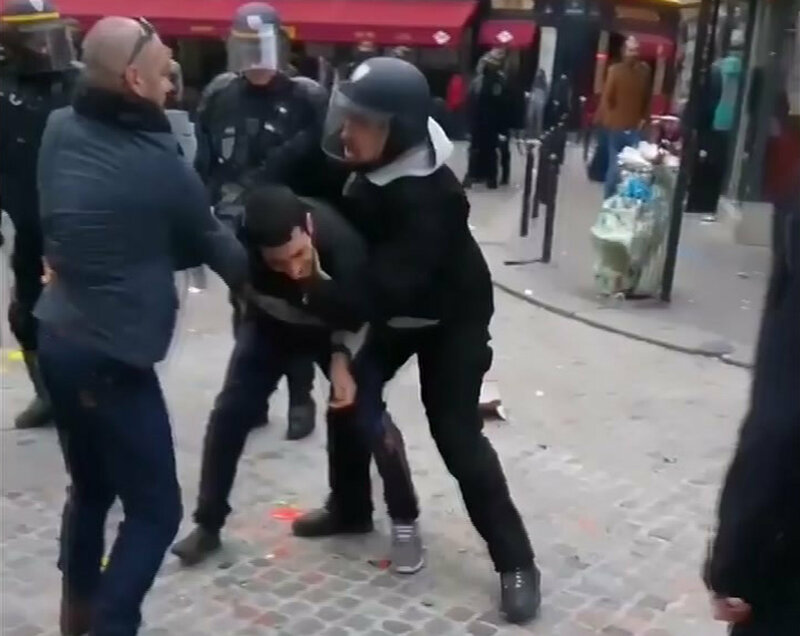 The scandal was triggered in mid-July by Le Monde, which revealed that the Macron office had given Benalla a two-week suspension after the security aide attacked a May Day protester while posing as a police officer, and had not informed law enforcement authorities about the case. Impersonating a French police officer is illegal under the country's law. After the exposure, Benalla was fired. 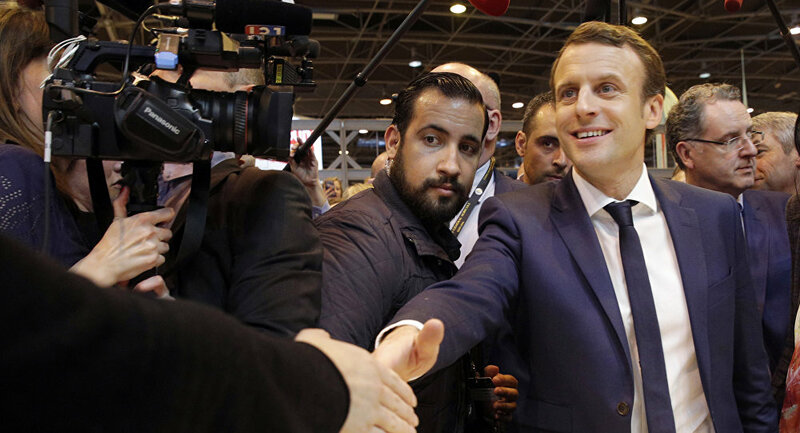 The New Yorker's Alexandra Schwartz opined that the Benalla case is not actually about the president's bodyguard, but about Macron's unpopular domestic policies. She noted that the president's approval ratings are plummeting, while the recent case "has succeeded" in uniting Marine Le Pen, of the National Front, and Jean-Luc Mélenchon, the leader of the leftist La France Insoumise, against Macron and his En Marche coalition. The case was spun out in social media, which prompted some politicians and media pundits to point the finger of blame at Russia, citing the findings of a Belgian non-governmental organization (NGO), the EU Disinfo Lab. The NGO's co-founder and social media analyst, Nicolas Vanderbiest, has claimed that on Twitter, the Benalla case was most enthusiastically discussed by the representatives of the so-called "Russophile ecosystem" — those Twitter users who demonstrate sympathy for Russia and its leadership. According to Vanderbiest, 44 percent of tweets about Benalla were posted by one percent of the accounts and that 27 percent of those highly active accounts (which publish over 300 posts a month) are associated with the "Russophile ecosystem." Commenting on Vanderbiest's conclusions, Harrel specified that it means that "73 percent [of the 1 percent of the most active accounts] is not related to the Russo-sphere, if I'm not mistaken." However, the figures outlined by the Belgian NGO were quoted by French TV broadcaster BFM and then by Frédéric Lefebvre, a former member of the French Republican Party (LR) and a co-founder and national representative of "Act, the Constructive Right" (Agir) political party. On August 1, the politician announced that since the beginning of the new season, the Senate investigative commission would have to consider the manipulations aimed at destabilizing the French executive branch, attributed to "Russophile" accounts. Still, Harrel noted that in the Benalla case the social media played the role of an "intermediate instance": The internet users did not serve as a source of information, they were simply reacting to the fuss sparked by the French mainstream media, including Le Monde. "Let me remind you that the case did not appear in social networks, it was certainly overblown, but it came as a result of an investigation conducted by the French weekly after examining the information. Therefore, it is hardly justifiable to ascribe a great deal of importance to a certain lobby with regard to this [Benalla] case," he elaborated. According to Harrel, it is hard to authenticate a user's account: "A system of servers allows you to conduct an operation under a false cover and shift responsibility to a political opponent whom you want to discredit by attributing to him words characterizing him and emphasizing that he uses dishonest methods." The cyber-security analyst underscored that the practice is not new and is used in many countries. He underscored that technically it is possible. Harrel noted that depending on the geopolitical situation, one or another country that conducts a restrained and well-balanced policy is chosen for such manipulations. According to Harrel, the recent attempt to accuse Russia of interference in France's internal affairs may prove counterproductive in the fight against fake accounts. During the US-Russia summit in Helsinki, which took place on July 16, Vladimir Putin emphasized Donald Trump's intention to create a joint cyber security unit, adding that contrary to a popular belief, Russia still remains a target of severe cyberattacks.